Am I allowed to scrape Stack Overflow job postings? I love Stack Overflow and don't want to do anything that will get me in trouble. Technically we don't have a problem with scraping of /jobs for non-commercial purposes so long as your scraper acts like a responsible citizen. What does that mean? Respect nofollow, noindex, robots.txt. That includes in the rel attribute on a elements, the X-Robots-Tag header, etc. 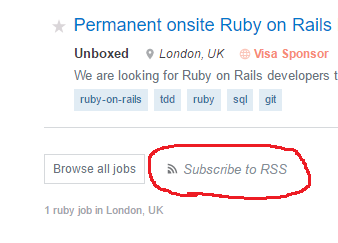 Don't start applying to jobs programmatically. It angers employers and therefore angers us. I'd also highly recommend using the RSS feeds available on all search pages rather than manually scraping. It doesn't have as much data but it's unlikely to be changed out from under you when we make layout changes. Not the answer you're looking for? Browse other questions tagged support jobs scraping . Are sites that autonomously scrape Stack Overflow for answers to programming problems encouraged?